I used an old sheet to make this muslin - not the best choice in retrospect as it had some polyester content and this made it pucker on the seams, also the darker colour made the adjusted muslin hard to trace a copy of to make the second muslin. 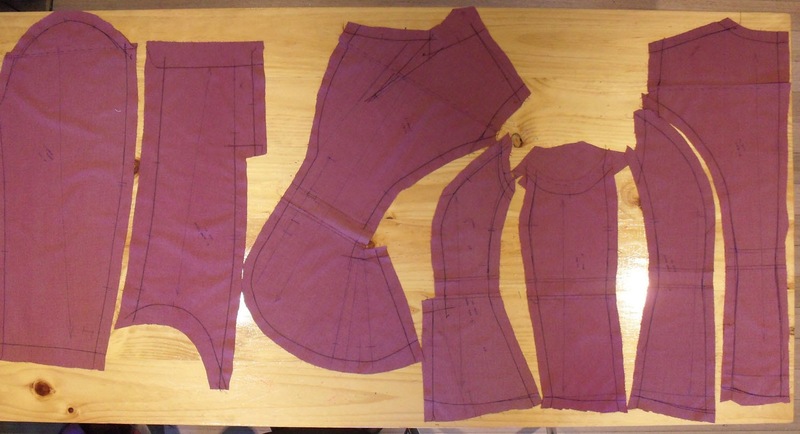 Firstly I marked the stitching lines on the orginal pattern in size 22 which was based on my high bust measurement then traced this onto the fabric using wax tracing paper. - full bust adjustment, not enough added as I can now see by these final photos. - increased length by 1 inch at the increase length line on pattern. 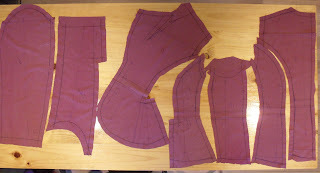 - further lift of the arm hole by removing 20mm from the upper body and sleeve cap all the way around the jacket. 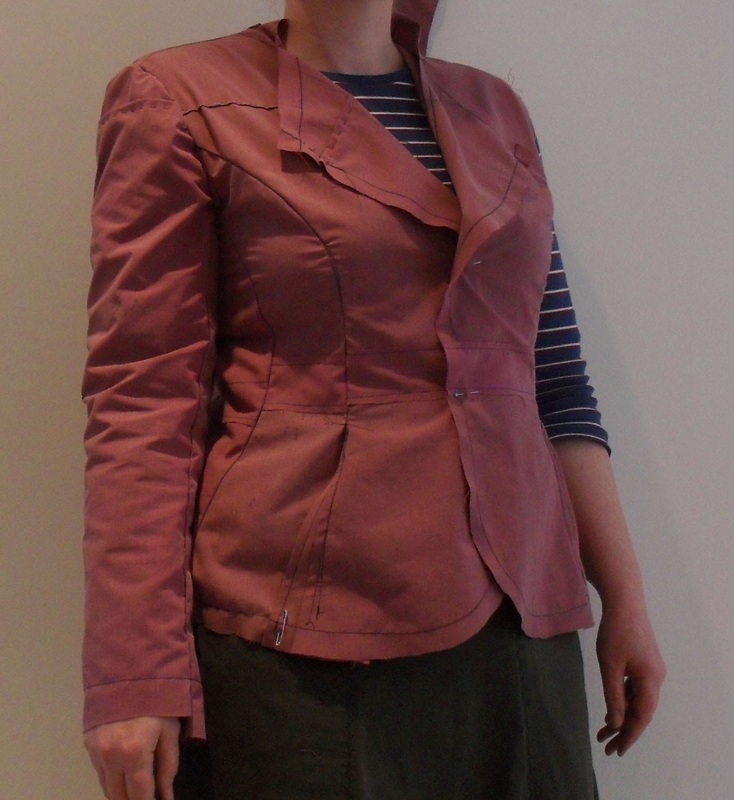 - lengthened the back of the jacket and made it a curved hem rather than straight. 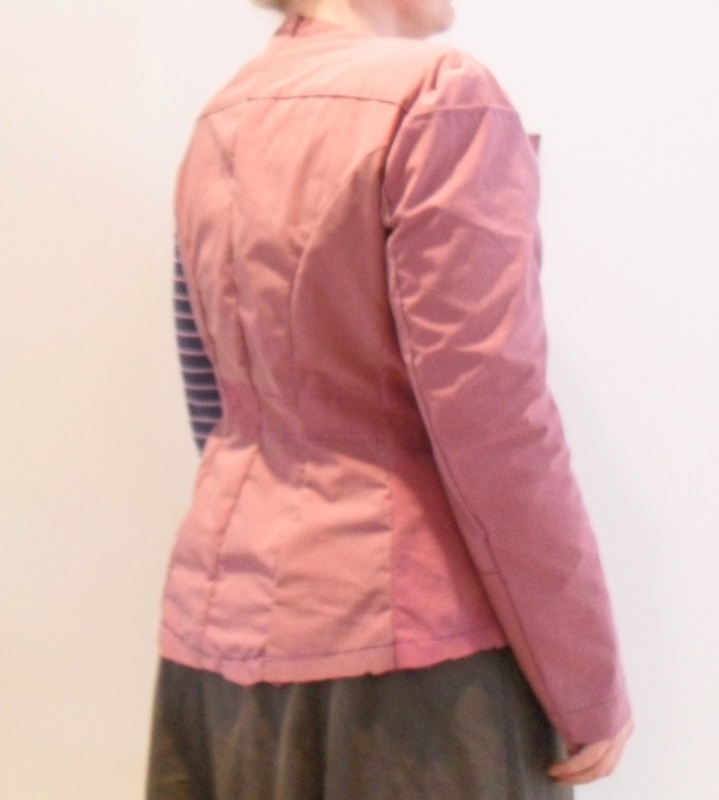 - brought in the waist on the back seams of the jacket. Fron this front muslin photo I can see I need to increase the ease around the bust area, note small horizontal folds caused by the muslin being too tight in this area. I can also see I need to increase the amount I lifted the shoulder, note vertical pull lines. This muslin photo of the side/back shows an excess of fabric in the back sleeve cap. The back seams also seem a bit puffy but I will reassess this in the 2nd muslin which will be from 100% cotton and I am going to press it as I go. 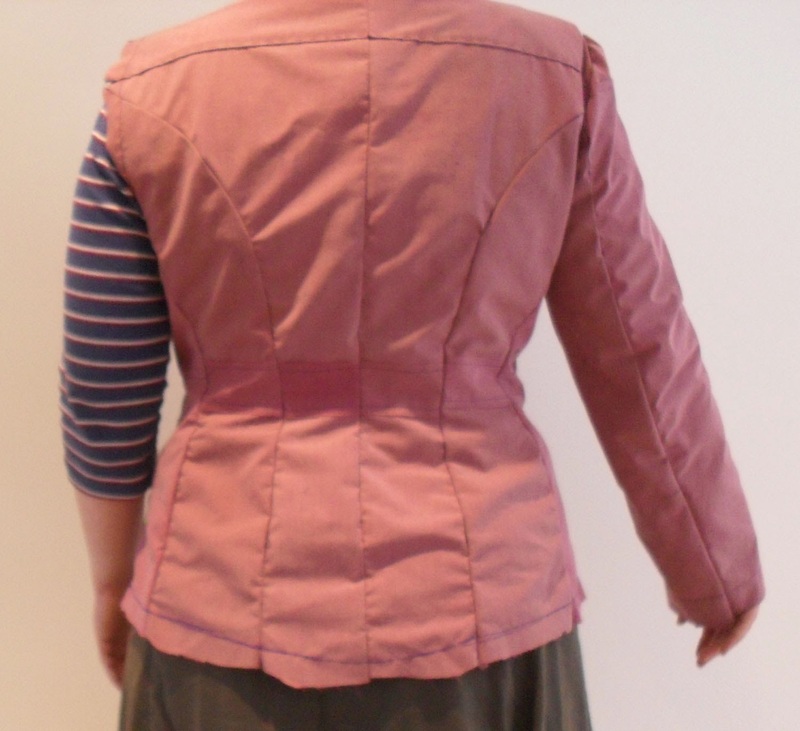 In addition to showing the same problems as the side/back picture this also shows me I need to flatten the curved hemline a little in the centre back. It also looks to me like there is a little too much fabric between the waist and under arm - again I will assess this further on the 2nd muslin. altered muslin pieces ready for the 2nd muslin.